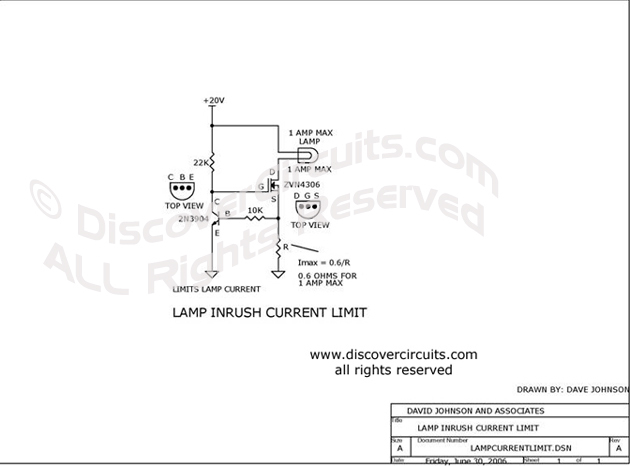 Circuit: Incandescent Lamp Inrush Current Limiter__ Circuits designed by David A. Johnson, P.E. This circuit limits the large inrush current often associated with large incandescent lamps. With the components shown the current is limited to 1 Amp, but it could be scaled to any desired current.